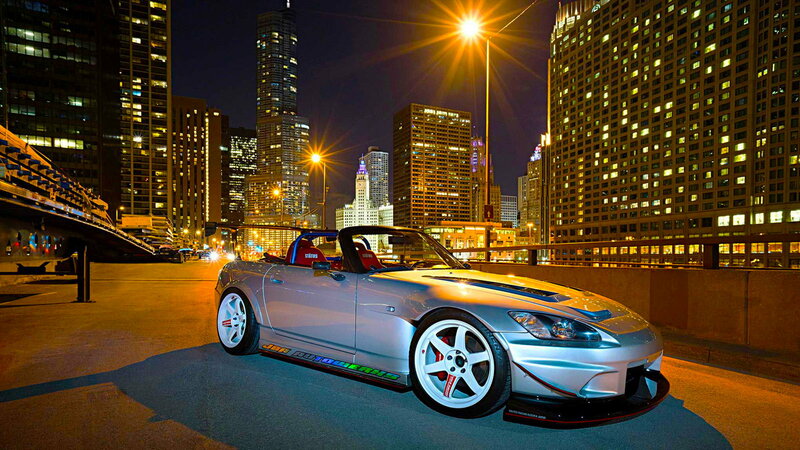 Dan has seen a lot of stuff courtesy of his 9 to 5 and has taken that information with him in how he built his S2000. Riordan Martinez, or just Dan, has a 2002 AP1 that he wanted to make unique without restraint and without bias. His day job as a collision repair specialist put him in a place where he has seen almost any and every varying degree of damage that a vehicle can be in. Naturally, seeing all these vehicles statistically would mean that a number of damaged cars would be modified on the exterior or interior in some way shape or form. That includes body kit parts that were er... fake, replica, Fugazi, and those were the parts that would crumble under stress. >>Join the conversation about Dan's 2002 AP1 right here in S2Ki.com. With that knowledge of how bad some replica parts are, Dan vowed to never cheap out and to always buy authentic parts and that when he built his car that he would do it his way. With those two bullet points in mind, Dan gathered body components from his two favorite JDM brands: J's Racing and Voltex. The carbon fiber hood, side skirts, rear diffuser, and front fenders were all from J's Racing. 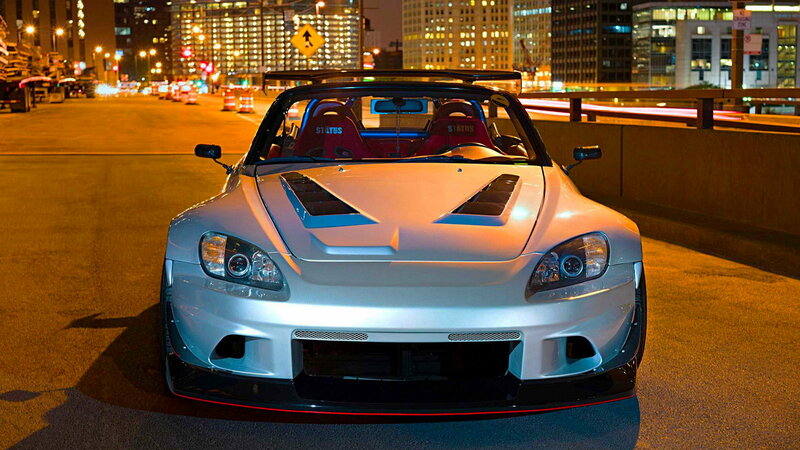 The front end, rear fender flares, and GT carbon fiber spoiler were all from Voltex. Dan took care of all the installation of the body pieces himself and even had to fabricate some bits in order for all the parts to fit together properly. Underneath those fenders are a set of Swift springs that are paired up with Stance GR+ coilovers. For a little bit of chassis stiffening, there is a Cusco roll bar that improves safety. This setup gives the AP1 more than just "stance," it improves handling to the degree of making it more than capable on a road course. 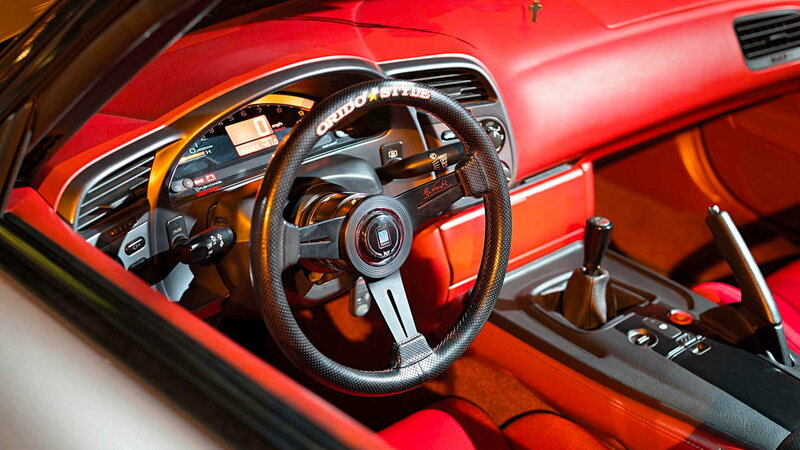 The wheels on the car mirror the duality of styles that the body has in that on the driver's side is a pair of Volk Racing TE37s while on the passenger side are slightly lighter TE37Sl's. However, the mixing of these wheels was not done on purpose as they are the result of a slight mix-up. Dan wanted a +22 offset for the wheels all around but accidentally ordered a set of staggered TE37s with just the front being +22 and the rear at +12. So then he sold off the two +12 wheels and bought the first +22 TE37 he could find... which happened to be SL's. You get lemons, you make lemonade. 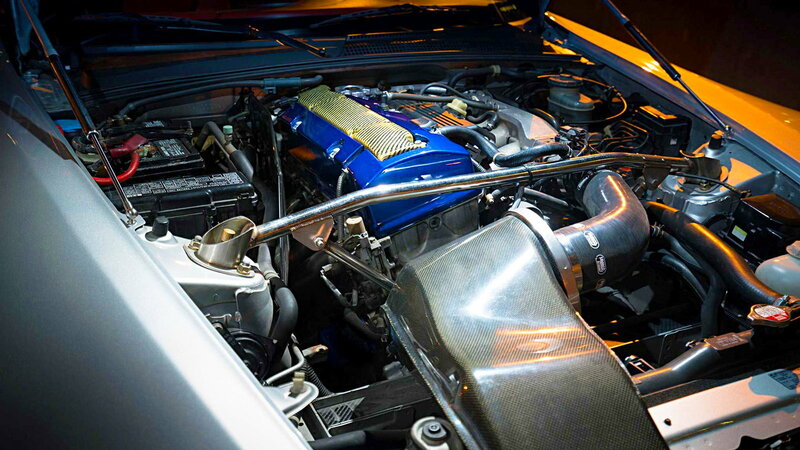 Underneath the hood, Dan stayed light on the power mods with just a Samco intake and a Mugen carbon-fiber airbox. Helping that airbox is a fancy header back Amuse R1000 titanium exhaust that adds a nice performance tone to the car. In the future, Dan plans to add more power via a Kraftwerks supercharger and some useful ECU tuning to handle the new mods. We along with the rest of the automotive community here at S2Ki look forward to seeing how Dan goes about pushing his AP1 even further.